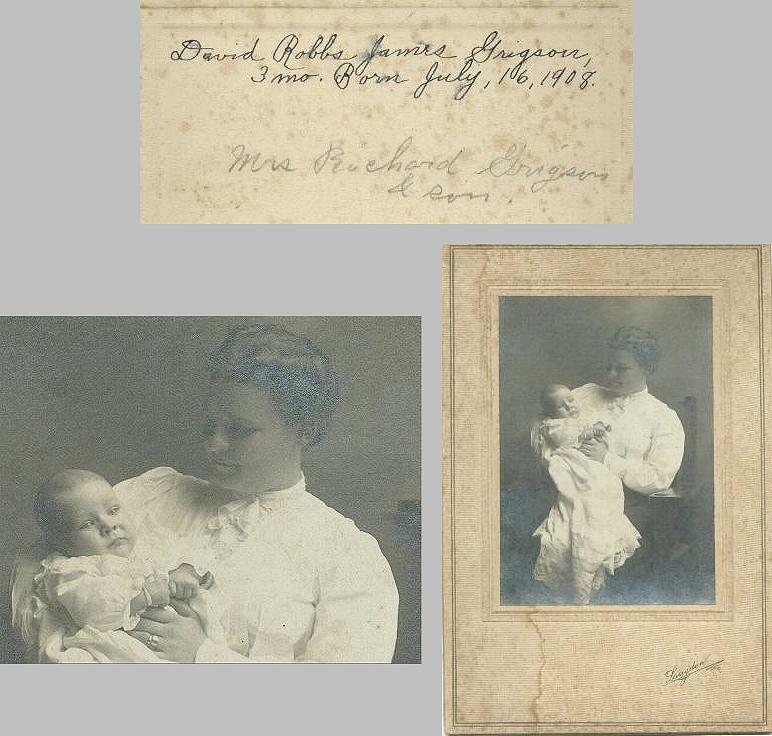 Comments: David Robb James Grigson (Nee: ) | Fort Lee NJ USA | 1901-1920 | Comments: This photo Of Mrs Richard Grigson and her baby David started DeadFred.com. The Founder DeadFred was able to track down the babys son in 1998 and send the Photo home. It felt to good to stop sending these photos home. The baby David b: in 1908 died in 1995.